Oct. 17, 2005 — Halloween conjures up images of scary ghosts, tricks or treats, and generally lots and lots of fun. In keeping with the spirit of this event, the Grand InterContinental Seoul's pub, Hunter's Tavern, is taking on all those goblins and ghosts with a Dance Party on Oct. 27 and Oct. 28, 2005 from 8:00 p.m. on. While our party will feature face painting and other exciting events, if you come in an otherworldly costume and it's picked as one of the best, you'll win prizes like coupons for a complementary use of the buffet. As soon as Happy Hour (6-8:00 p.m.) ends, the face painting and service by our own residents "spirits" dressed up in black with a witch theme begins. 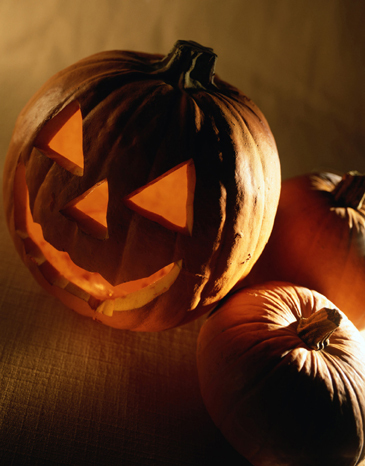 We'll also have carved pumpkins, yellow balloons, and candles to make things even spookier. For details please call 02- 559-7619.